Build mechanistic or PKPD models graphically using a block diagram editor or programmatically using MATLAB® functions. SimBiology® provides libraries of built-in elements, such as units and blocks, for building models. You can save models in a SimBiology project or export them to Systems Biology Markup Language (SBML) files. SimBiology also lets you import models from SBML files. 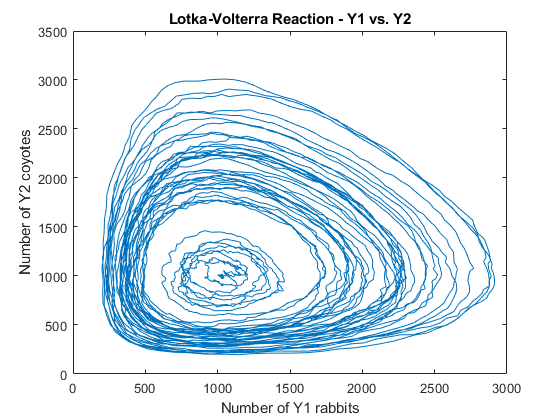 Build and simulate a model using the SSA stochastic solver. 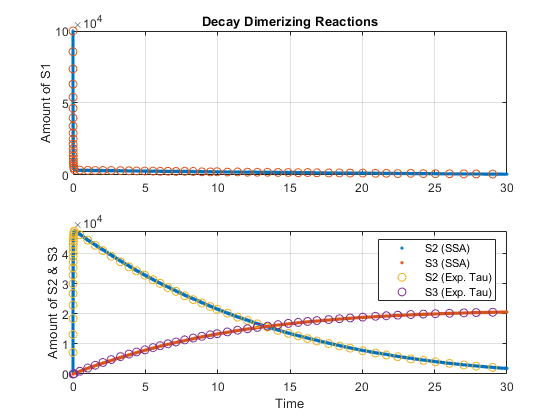 Build and simulate a model using the SSA stochastic solver and the Explicit Tau-Leaping solver. 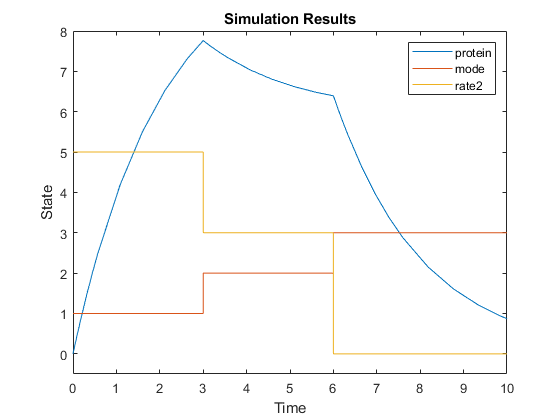 Correctly build a SimBiology® model that contains discontinuities.